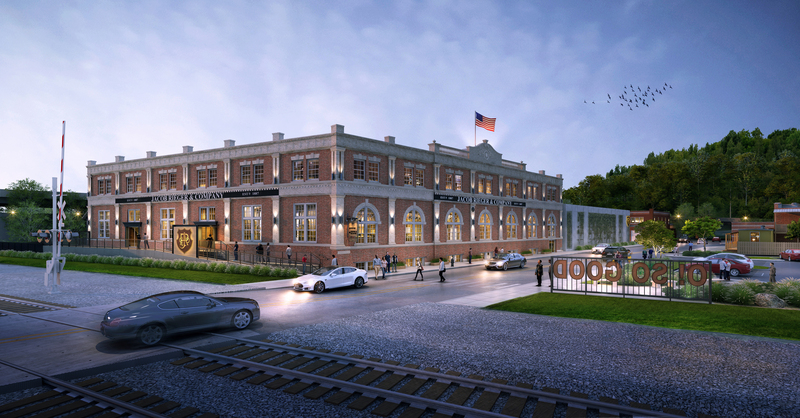 Rendering of the exterior of Jacob Rieger & Co. Distillery. In June of 2019, J. Rieger & Co. will open to the public in Kansas City, Missouri for the first time in almost a century. 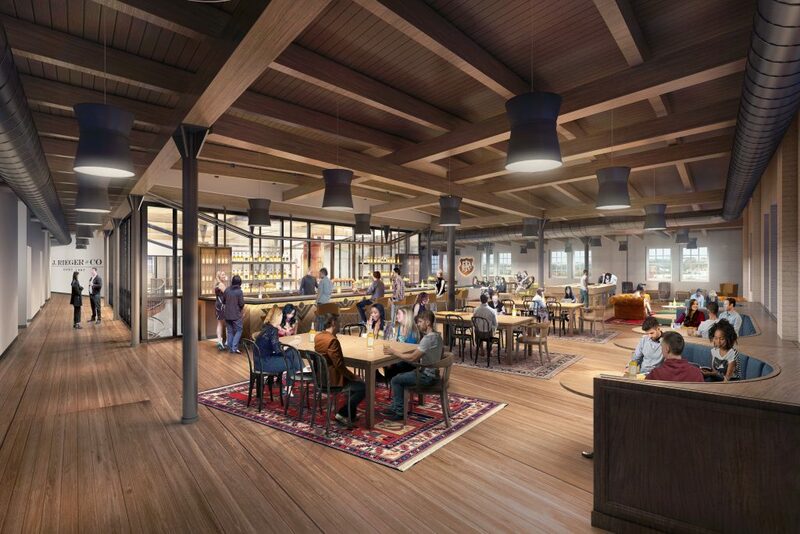 The new facility will feature two trendy bars, a custom whiskey bottling station, and a room dedicated to cutting 200 pounds of clear ice per day – but behind the swanky new digs for the distillery is an even more interesting story. 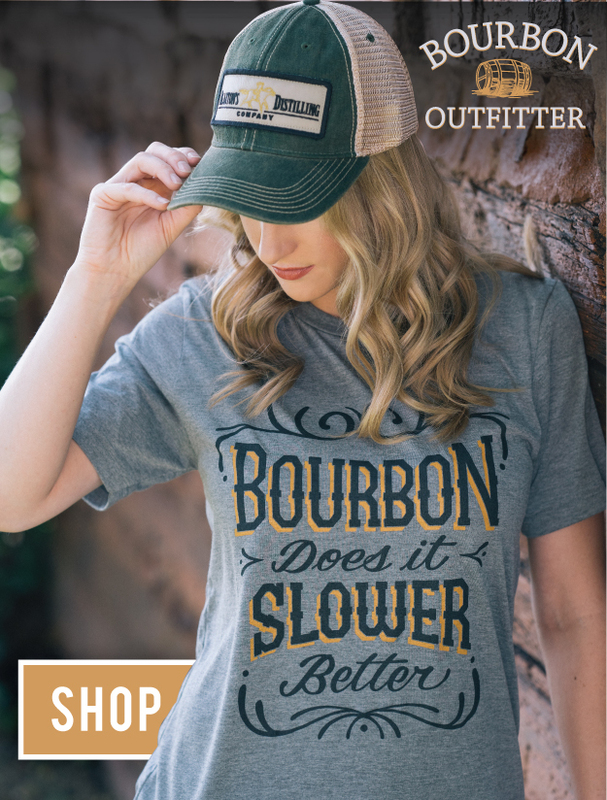 The distillery made its home in the West Bottoms of Kansas City, known as “The Wettest Block in the World” due to the high concentration of saloons, brothels, casinos, distilleries, and more. Business was booming – in the years leading up to 1920, J. Rieger & Co. was the country’s largest mail order spirits business. The family opened the Rieger Hotel, and commissioned a mural on the side of Rieger’s Monogram Whiskey. In 1920, though, Prohibition hit, forcing distilleries around the country, including J. Rieger, to close their doors. The family sold the hotel, changed industries to banking, and moved on. The brand was all but lost until Ryan Maybee, a bartender and restaurateur in Kansas City, took an interest in the family name. And that’s just what they set out to do. Under the guidance of the late whiskey legend Dave Pickerell, they began sourcing and blending Kansas City Whiskey, first released in 2014. By 2015, they’d installed a Vendome Copper still and added vodka and gin to their spirits line. Soon, we’ll see the first rye and bourbon whiskies distilled under the J. Rieger name in almost 100 years. 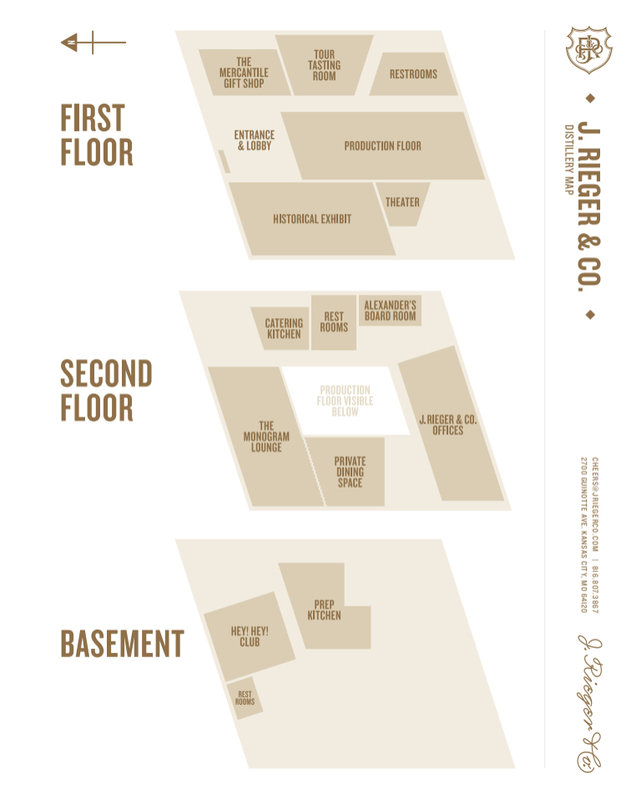 Map of the J. Rieger & Co. Distillery. The current J. Rieger & Co. Distillery is being built out from the 118-year-old Heim Brewery Bottling building and is on the National Register of Historic Places. The Bottling building didn’t just bottle beer – it also made the bottles for J. Rieger’s spirits. To honor this history, KC Bier Co. is developing “Heim Beer,” a traditional German lager brewed in the style of the original Heim Brewery, to be served exclusively at the distillery. In addition to tours of the new facilities, guests can take classes, play around with filling their own bottles, shop at The Mercantile gift shop, or rent space for events or meetings. Want a drink? Visit The Monogram Lounge overlooking the production floor of the working distillery, or sneak down to the Hey! Hey! Club, a cozy jazz bar in the basement. Don’t wait till happy hour to stop by, though. The distillery will be open in the morning serving local brew from Thou Mayest Coffee Roasters, and will offer free WiFi and space to work or study. Rendering of the The Monogram Lounge, name does for J. Rieger’s original pre-prohibition whiskey. As a nod to the legacy behind both the brand and the building, the remodel will also feature a 3,000 square foot Kansas City history exhibit. The best part? Hold on to your whiskey, folks – there’s a 40-foot slide between stories. “Why? Because we thought it would be fun,” said the distillery in a press release. If you, like us, can’t wait to visit, you’ll be pleased to know that J. Rieger & Co. is on schedule to open in June of this year. Click here to read more of their story.